I remember clearly Francis and I writing this sat at the kitchen table in his parents house in Bromley. I think it was in late 1969/1970. The whole song was done in less than one hour including the lyrics which just came so naturally, probably helped by the wicked wonga we were smoking at the time. The song became a single and its release was quite important for Quo as it charted and sold because of the fan base that the band had built up by playing every gig possible for the previous year before release. It also proved that all the hard work was paying off in terms of breaking through despite all the cynics who had been dismissing the band and their non-pop music. I look back on this period around the Ma Kelly's Greasy Spoon album with a lot of real pleasure. 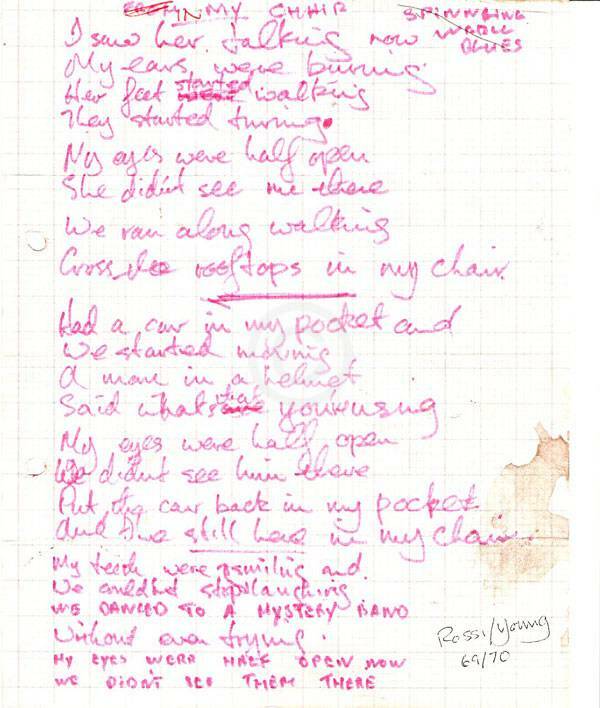 lyrics to "In My Chair".